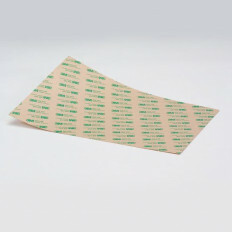 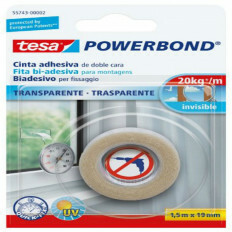 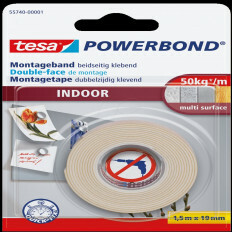 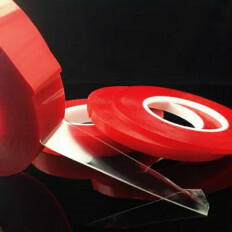 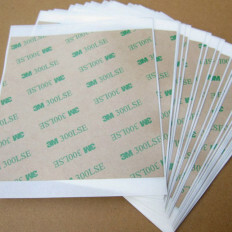 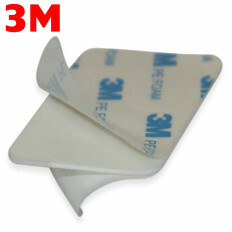 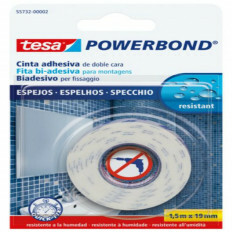 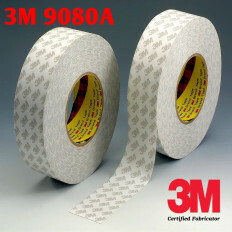 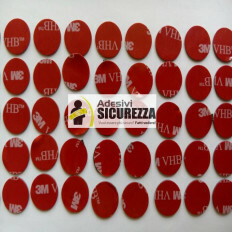 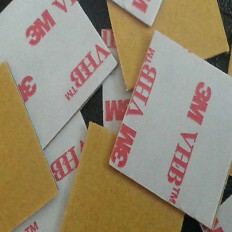 Suitable for a broad range of applications.Excellent for applications requiring high adhesion and high transparency.5 mil PET carrier is excellent for graphic displays.Adhesive 375 bonds to nearly any surface, rough or smooth.Resists UV, chemicals and high temperatures for long-term bond. 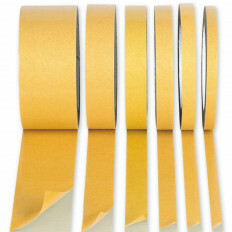 Delivers exceptional peel and shear strength for metals and HSE plastics.58# polycoated kraft paper (PCK) liner offers a high strength bond for splicing and laminating applications.Thicker adhesives improve wet-out and adhesion on textured surfaces.Provides very high resistance to solvents and humidity.Thickness: 0,127 micron. 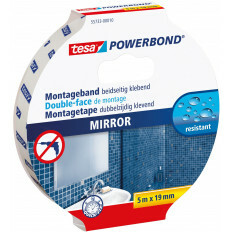 Double-sided tape measuring 1.5m x 19mm for mirror with strong hold.It has been specifically designed to fix small objects, resistant to moisture.If well applied, it can replace the use of the drill so as to avoid pitting walls, it is a less invasive solution. 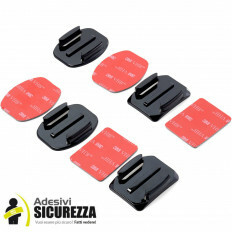 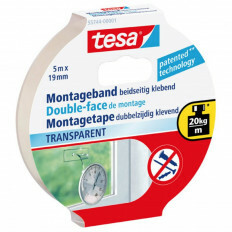 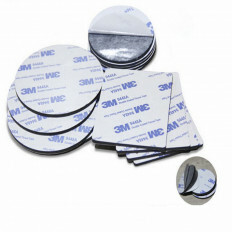 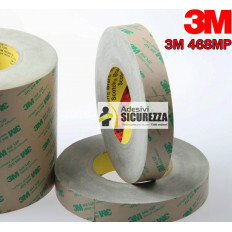 Double-sided tape measuring 5m x 19mm for mirror with strong hold.It has been specifically designed to fix small objects, resistant to moisture.If well applied, it can replace the use of the drill so as to avoid pitting walls, it is a less invasive solution. 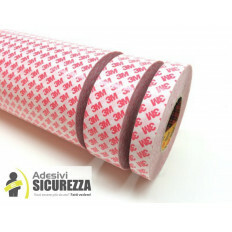 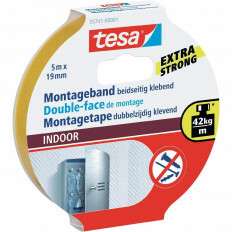 Double-sided tape measuring 1.5m x 19mm for indoors with strong hold.It has been specifically designed to fix small objects, resistant to moisture.If well applied, it can replace the use of the drill so as to avoid pitting walls, it is a less invasive solution. 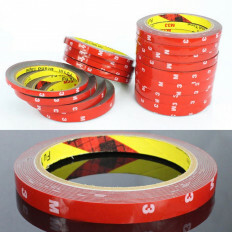 Double-sided tape measuring 5m x 19mm for indoors with strong hold.It has been specifically designed to fix small objects, resistant to moisture.If well applied, it can replace the use of the drill so as to avoid pitting walls, it is a less invasive solution. 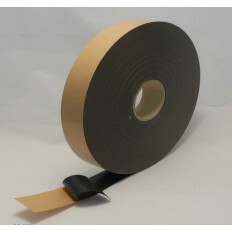 Double-sided tape measuring 1.5m x 19mm for outdoors with strong hold.It has been specifically designed to fix small objects, resistant to moisture.If well applied, it can replace the use of the drill so as to avoid pitting walls, it is a less invasive solution. 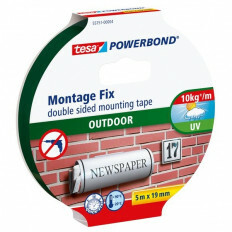 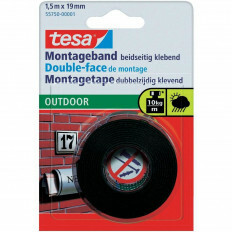 Double-sided tape measuring 5m x 19mm for outdoors with strong hold.It has been specifically designed to fix small objects, resistant to moisture.If well applied, it can replace the use of the drill so as to avoid pitting walls, it is a less invasive solution.